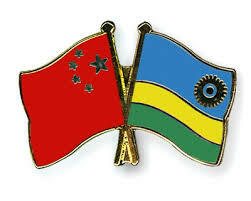 Rwanda and China’s fate may become inextricably linked in the coming years. I watched Hotel Rwanda on television last night for the first time since I saw it at the cinema when it came out in early 2005. It’s a fine film, not among the greats, but it is honest, tells an important story and it played a crucial role in my personal political awakening. Hotel Rwanda tells the story of the 1994 Rwandan genocide from the point of view of Paul Rusesabagina, manager of the international Hotel des Milles Collines in the capital Kigali. The hotel became a sanctuary for hundreds of people, as all around them Hutu militia rampaged on their genocidal mass slaughter of Tutsi people. As good as the film was, I remember being left unsatisfied as it did not answer the question as to how, in my lifetime, up to a million people could be murdered purely on the basis of a national characteristic. I thought this was something that happened in cruel times of the past, not in our enlightened era. I was 30 years old when the massacres happened, naive, and living an undisturbed life far away in Australia. I remembered the Edmund Burke phrase that all it takes for evil to thrive is for good people to do nothing. Was I somehow to blame, blissfully ignorant of the causes? How could this happen in the 1990s? What did I know about Rwanda, and Africa more generally? I decided to find out. That Easter 2005 I was supposed to go away on a four-day long weekend, but for whatever reason the plan fell through. Instead I printed off the 900-page Human Rights Watch report “Leave none to tell the story” and stayed at home riveted to the heartbreaking conclusions on every page. When explained, Rwanda’s genocide was even more baffling than ever, the result of a bogus and arbitrary division of people, African warring, European meddling, and lack of American intervention at the most important time. Worse still, the causes remained uncured and the possibility of it happening again remains real. Yet it is hard to imagine China being any more sympathetic to local needs than any of the previous superpowers for whom Rwanda was a client state. Kagame, a leader supreme for two decades, may be part of the problem. Paul Kagame led the Tutsi rebels that overthrew the Hutu extremists in 1994 after the genocide. An undoubted hero to his people for restoring law and order, his regime has come at the cost of political repression with internal enemies ruthlessly suppressed. This is an African tradition dating back to the end of colonial times but Rwanda’s problems go even further back. The Hutu and Tutsi people are differentiated purely by when they first arrived in central Africa. The Kingdom of Rwanda was a Tutsi enclave but operated a sophisticated power-sharing arrangement with Hutu people on the basis of cattle patronage. At the time Rwanda was uncolonised, but unbeknown to it, the faraway Berlin Conference of 1884 assigned the territory to Germany as part of the greedy but civilised European takeover of Africa. Because of the convenient lack of British interference, German needed to send only a small contingent of troops to take Rwanda. The German brought euro-centric notions of racism to Rwanda, handing local administration to Tutsis on the basis they originally hailed from the “more white” Ethiopia. German defeat in the First World War saw new European overseers arrive: the Belgians. The Belgians already managed next door Congo and brought their post-Leopold administrative zeal to the new province, concentrating further power in Tutsi royalty. In 1935 they took the fateful step of issuing identity cards labelling people as Hutu, Tutsi and Twa, ending the fluid movement between what were effectively castes. The end of the Second World War saw the rise of nationalist movements across Africa including Rwanda. Because Hutus were the most numerous, they dominated the resistance movement, and a notion of Hutu nationalism emerged in 1957. Seeing which way the wind was blowing, the desperate Belgians replaced all Tutsi leaders with Hutus in 1960 but could not stave off inevitable independence. There followed a civil war in 1963 and mass emigration of Tutsis, destabilising neighbouring Uganda, Burundi, Tanzania and Congo (Zaire). Nevertheless there was a population explosion in Rwanda’s fertile lands rising from 1.6 million in the 1930s to 7.1 million by the end of the 1980s. Hutu leaders carefully held power, backed by American, Belgian and French forces, while disconcented Tutsis bided their time. Around 1990, a perfect storm of events ended the status quo. When the prices of Rwanda’s chief export, coffee collapsed at the end of the 1980s, there was an economic crisis. Meanwhile across the border in Uganda, exiles backed the overthrow of anti-Tutsi president Milton Obote. The new dictator Yoweri Musavene secretly supported installing a Tutsi regime in Kigali. Finally the fall of the Soviet Union meant Africa was no longer critical in forging pro or anti-Communist regimes and American support for the Hutu regime dissipated. The second civil war started in 1990 but hopes of a quick Tutsi victory were dashed by the entry of French and Belgian troops in support of the Hutu regime of president Juvenal Habyarimana. The conflict descended into stalemate and guerrilla warfare until a ceasefire in 1992. The Arusha Accords called for power-sharing but fighting continued. Another Tutsi offensive in 1993 was stopped again by the French. Power in Kigali was moving slowly away from the distracted army to a hard-line paramilitary group known as the Interihamwe. Organising itself with the aid of a radio station, the Interihamwe promoted the total elimination of Tutsi people whom it called “cockroaches”. They could not act too openly while Habyarimana controlled the army. Their moment came when Habyarimana’s plane was shot down at Kigali Airport as he returned from peace negotiations in Burundi. The Burundi president also died in the attack. No one claimed responsibility for the double assassination but hard-line Hutus were the beneficiary, at least in Rwanda. Within hours the Interihamwe mobilised death squads with guns and machetes and began large scale killings across the country. With the army still hamstrung as it dealt with the Tutsi resistance, the way was left clear for a 100 days of savage slaughter, far from western eyes. The small, mostly Pakistani, UN contingent in Kigali alerted the world to the predicament but Bill Clinton’s America, chastened by ignominious failures in Mogadishu a year earlier, refused to commit US troops to the region. An inept Europe looked on in horror, and the killing spiralled out of control. On June 18, the French finally invaded in Operation Turquoise. While the UN sanctioned this operation, this was a cynical move by President Mitterrand to shore up French interests in the region. The massacre had ended, but it was the Tutsi rebels that ended it, not the French. Kagame’s forces had finally routed the Hutu army and taken Kigali. Operation Turquoise assisted only in helping two million people flee the country and arrested none of the Hutu massacre leaders. The mission lasted two months and on its end, the Tutsi rebels united the whole of Rwanda under their leadership. The Interihamwe leaders that caused the carnage mostly escaped into the Congo and Uganda. They used Congolese camps for incursions into Rwanda and also attacked Tutsi refugees in the Congo. The latter formed militias to defend themselves and attacked the Hutus and also the Mobutu government that defended them, opening up the first Congo War, which ultimately overthrew the Mobutu regime. There were still 1.5 million Rwandan refugees in Congo which new president Kabila saw as a destabilising influence. He expelled all Rwandans and Ugandans from his country, an action which, in tandem with the rapacious western need for minerals used in mobile phone technology, only served to open up a new conflict, called the Second Congo War. The Second Congo War is unknown to the rest of the world, but is the deadliest war in African history. It dragged in almost every country in the south of the continent. It lasted four years, caused thousands of deaths directly, millions of deaths indirectly. It ended with a new government in the Congo, but Uganda’s and Rwanda’s long-term pro-Tutsi governments emerged stronger than ever. Both countries sold the mineral coltan, a crucial component for mobile phone capacitors, found only in eastern Congo. Kagame was formally elected president of Rwanda in 2003 and re-elected in 2010. That second election was widely believed to be rigged and dozens of opposition figures murdered. Kagame was re-elected with 93% of the vote, a sure sign of intimidation. However he would probably have won anyway in an open vote. The Rwandan economy is recovering and annual growth was 8% from 2004-2010, including during the GFC. The services sector has grown strongly with good communications and technology infrastructure in a small, populous and relatively well-educated country. Kagame has also done well to improve integrity and remove corruption. Paul Rusesabagina and his family have left the country for Belgium, but Hotel des Milles Collines is still open and thriving again. Kagame can take much of the credit for his country’s stability but dangerous times lie ahead. The next presidential elections are due in 2017 and having served two terms Kagame is constitutionally barred from running again. The question will be how he deals with that and how the country moves into a post-Kagame transition. Hutu murder groups are still at large in eastern Congo and are spoiling for the opportunity to return to their homelands. The role of China in protecting its increasingly large stake in Rwanda’s economy could be crucial. Saving democracy is not a priority.